The Home Depot (NYSE: HD) is the world’s largest home-improvement retailer, and it keeps growing. Top-line sales rose 7.2 percent last year to $108.2 billion, while net earnings rose 28.9 percent to $11.1 billion. 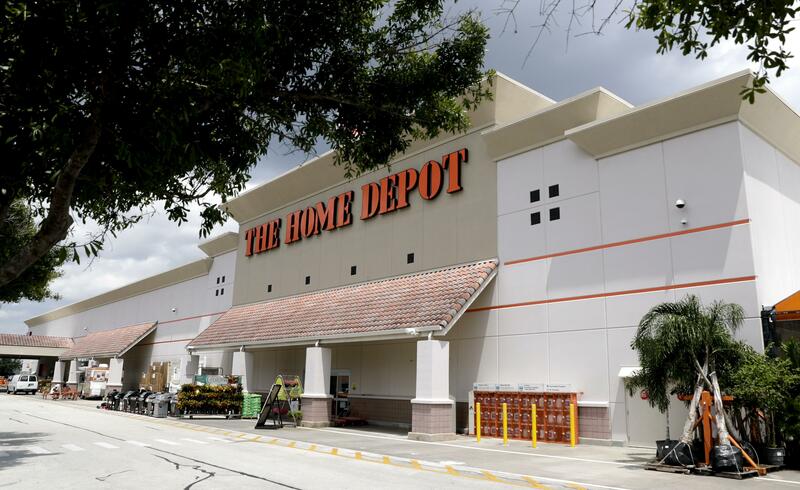 While many retailers seem to be clinging to life support, Home Depot has been able to thrive, thanks in part to investments it made to maintain an online presence. Online sales grew 24.1 percent in 2018, and digital sales now make up 7.9 percent of the total. Being the biggest gives Home Depot a lot of leverage when negotiating with suppliers, which makes it hard for smaller businesses to compete. Home Depot’s size advantage will probably get even stronger over time. Purchases of more than $1,000 are growing faster than sales from the average customer, and the company already has onboarded 100,000 Pro customers to a new business-to-business website just for them. A: A shell company is a structure that has financial assets and engages in financial transactions but has little going on in the form of operations – that is, little or no production or sales and few employees. Both businesses and individuals can create and use shell companies. Shell companies have a shady reputation because although they’re generally legal, they’re often used for illegal purposes, such as tax evasion or money laundering. They’re often established in countries with exceptionally business-friendly laws and/or low tax rates (such as Bermuda, the Cayman Islands or Switzerland), and they can help a company or person hide certain activities, disguise ownership or tuck away money. A: It’s easy to list them all, because women recently headed only 24 of the 500 companies in the S&P 500 – not quite 5 percent. They are: Mary T. Barra (General Motors), Gail Boudreaux (Anthem), Heather Bresch (Mylan), Michele Buck (Hershey), Debra A. Cafaro (Ventas), Safra A. Catz (Oracle – co-CEO), Mary Dillon (Ulta Beauty), Adena Friedman (Nasdaq), Michelle Gass (Kohl’s), Lynn J. Good (Duke Energy), Tricia Griffith (Progressive), Marillyn A. Hewson (Lockheed Martin), Vicki Hollub (Occidental Petroleum), Patricia Kampling (Alliant Energy), Margaret Keane (Synchrony Financial), Beth E. Mooney (KeyCorp), Phebe N. Novakovic (General Dynamics), Patricia K. Poppe (CMS Energy), Barbara Rentler (Ross Stores), Virginia M. Rometty (IBM), Susan N. Story (American Water Works), Lisa Su (Advanced Micro Devices), Jayshree Ullal (Arista Networks) and Kathy Warden (Northrop Grumman). The Fool responds: It’s typically best to avoid investing in struggling companies. After the 9/11 terrorist attacks in 2001, many airlines had a hard time, facing a sharp drop in people flying coupled with a surge in the price of fuel. Delta’s bankruptcy was preceded by those of US Airways and United Airlines and came at the same time as that of Northwest. Delta exited bankruptcy in 2007 after 19 months – and after cutting costs and jobs and eliminating many less profitable routes. The company has been doing well lately, with its shares taking flight over the past decade. It has been investing aggressively in replacing much of its aging fleet, and newer planes with better fuel efficiency will help boost profit margins. Even the company’s pension deficit has been falling, reflecting improved overall financial health.